My fascination with Corvids (crows, ravens, jays and their relatives) began in childhood, when I cared for injured American Crows and Blue Jays. In time, I was able to work with their exotic relatives at the Bronx Zoo, and was thrilled to observe the antics of Japan’s famous tool-using Carrion Crows (please see article below) in the wild. Possessed of keen intelligence, insatiable curiosity and voice-mimicking abilities, hand-raised crows have few equals as avian pets. Native Corvids are protected in the USA, but foreign species may be kept, and several are regularly bred by hobbyists. Among these is the spectacular African Pied Crow, Corvus alba, which makes as responsive a pet as can be imagined. Although not common in the US pet trade, the Pied Crows that appeared in recent Windex TV ads have now made the species somewhat recognizable. 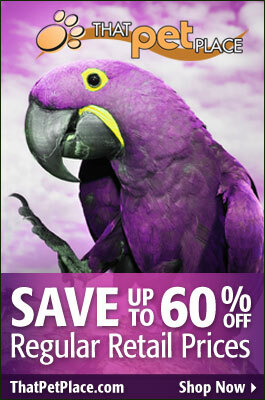 Once seen, this 20-inch tall bird will not be forgotten. The Pied Crow sports an impressively-thick black beak that is midway in size between that of the American Crow and the White-Necked Raven (please see photo). A brilliant white collar and breast contrasts sharply with the glossy, jet-black plumage. 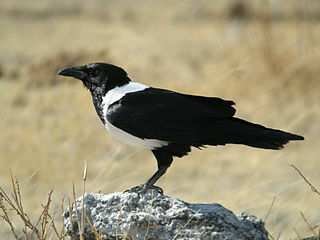 Africa’s widest ranging Corvid, the Pied Crow occurs south of the Sahara and inhabits most of the eastern and southern portions of the continent. They are also found on Aldabra, Madagascar, the Comoros and other nearby islands. Pied Crows favor open forests and wooded scrub, but are often most common near towns, cities and farms. They do not occur in the rainforests or deserts. Even casual observation reveals crows to be unusually intelligent…and not “just” by bird standards! Recent studies have shown that their tool-making and problem-solving abilities are on par with those of some great apes (please see articles linked below). Both ornithologists and those who have worked with crows generally consider them to be the most intelligent of all birds…apologies to parrot fanciers! It’s not easy to stand-out among such spectacular birds as the cockatoos, but the Moluccan Cockatoo (Cacatua moluccensis) does so admirably. In size, color, trainability, and many other ways, it is in a class by itself. This adds to the species’ allure, but there is a downside…wild populations are plummeting, and their needs, as pets, are beyond the capabilities of many owners. At 20 inches in length, the Moluccan is the largest of the white-colored cockatoos. Females often exceed males in size, and are also distinguished by their brown, as opposed to black, eyes.